RAYMAX projector mounts provides a robust & complete projector mounting solution. available in ceiling as well as wall mount types. available in different sizes to suit all needs. RAYMAX Short Throw Projector Mount is a universal short throw wall mount for projectors up to 26kg/57lbs. made of aluminium ,light weight but strong,suitable for classrooms & other short throw applications. can extend from 800mm to 1200mm. 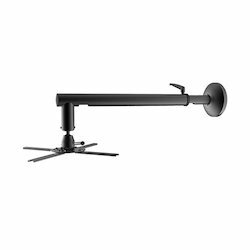 PROJECTOR CEILING MOUNT PRB-2-1000 & PRB-2-1600 are one the finest quality projector ceiling mount available in the market.made of solid steel & high quality powder coating ensures that this mount is safe for your precious projector. 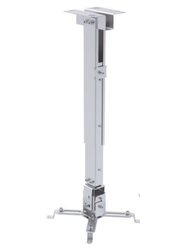 RAYMAX PROJECTOR CEILING MOUNT 6FT is the most robust & durable ceiling mount available for indian market. this can extend from 3ft upto 6ft.